Stay home in Albany, GA and let us bring our showroom of wheelchair vans to you through our online sales program. By working with a mobility consultant in the office, you can shop, finance, and put the finishing touches on the sale of a handicap van--all from the comfort of your living room. Once everything is complete, our mobility professional can deliver your handicapped van right to your driveway in Albany, GA in as little as 24 hours. Our mobility professional will drive a truck with your wheelchair van on a trailer to anywhere in Albany, GA, in as little as 24 hours from the end of the sale. We are a Georgia company based 20 minutes north of Atlanta in Norcross, GA. We invite you to our office to pick up your handicapped van personally. 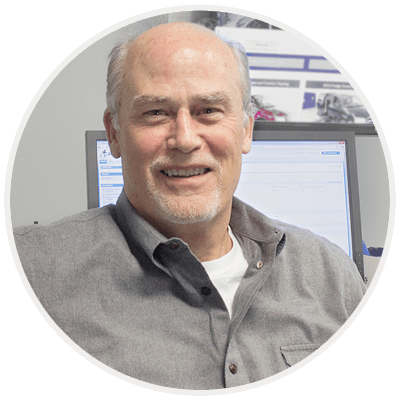 Take a tour of the office and meet some of the folks who made the sale of your handicapped van a possibility. Operating a wheelchair van is just a tad bit more involved than a typical minivan, so we offer our complimentary "White Glove Service" with every delivery and pick-up. Our mobility professional will point out all the safety features on your handicap van, show you how to use the equipment in our wheelchair van conversions as well as on the van itself, and answer any of your questions before we leave you the keys. 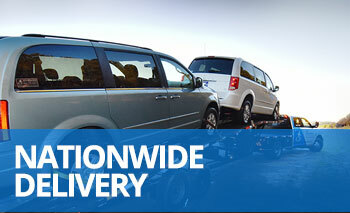 We stand behind our handicap vans 100% at the time of delivery, or your money back! If you aren't completely satisfied with your wheelchair van upon delivery, we'll bring it back to our facility, end the sale, and send a refund of your payment with no questions asked. If you'd like another opinion before making a final commitment, we're happy to meet you at any mechanic in Albany, Georgia and wait while they look over the vehicle. On average, our customers save ten thousand dollars or more, just for buying one of our wheelchair van conversions. All newly modified conversions are backed by our low-price guarantee that promises to match or beat the price of any comparable handicap van. Give us a call at 800-775-VANS (8267) and speak with one of our mobility consultants to find out more about the opportunities we have available. We'll apply your unique accessibility needs to a search of our extensive inventory and feature some handicap vans for sale for you to consider. Just tell us which one you'd like, and we'll handle it from there while you stay home in Albany, GA. It's a great source of pride that we've been able to bring so many people affordable accessible transportation across the US, and we look forward to delivering a new or used wheelchair van to your driveway in Albany, Georgia soon.